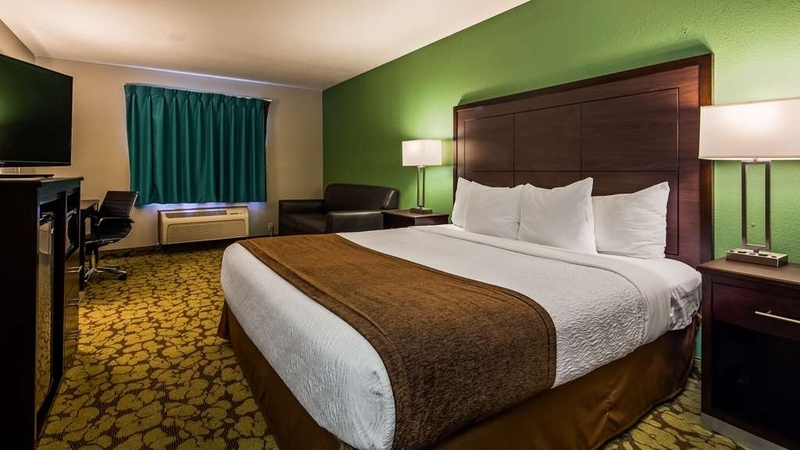 The SureStay Plus Hotel by Best Western Bettendorf is ideally located in the center of Bettendorf. Come and experience our hotel near the major tourist attractions. Best price guaranteed and exclusive deals. I stayed here for the first time while out of town for 5 weeks for work. Hotel is clean and staff is friendly and helpful. Told my coworkers about it while I was there and many also ended up staying there too.The manager Mac is awesome! Really sincere about making sure your stay is going well and have everything you need. 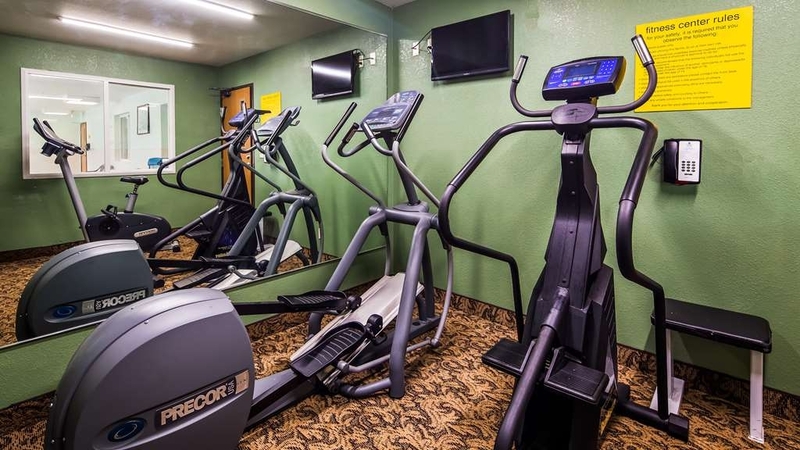 It's close to all the shopping and popular dining you could ask for. Definitely staying here next time I'm in the area for work. John H.
I couldn't have asked for a better place to stay for the price I paid. The room was nice and the bed was amazingly comfortable. Mac - the manager - was incredibly nice and friendly, to the point where he even made my waffle and poured my coffee at breakfast. 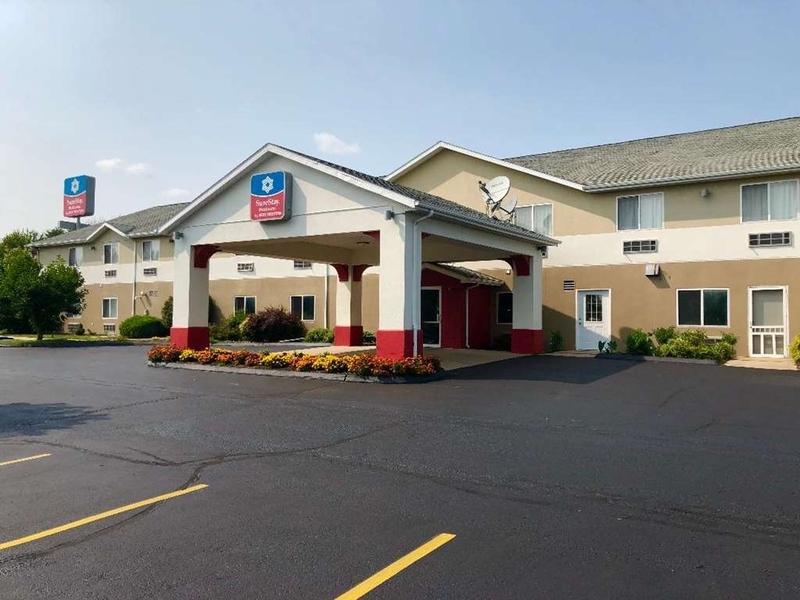 I would hold this hotel up as an example that "budget" or "value" doesn't mean "low quality". I would definitely stay here again and would recommend it to anyone needing a room in the QCs. I had a great experience during my 3 week stay! My room was clean and breakfast was nice. I enjoyed the waffles! The manager and staff were very welcoming. Great service all around and I would definitely return! What I great experience I had staying at this location. Very accommodating, great owner, and great service. I come threw here once a year for work, I will never stay anywhere else. Owner is one of a kind, the friendliest guy you'll ever meet. Thanks for the great stay. Many of us from our group will be coming back for years to come. "Clean, reasonable and friendly hotel"
Great service at check-in and check-out! Room was clean, well kept, and overall nicer than any comparable motel I have stayed at recently. Better than the average breakfast. I think this motel far exceeds the Best Western standard. 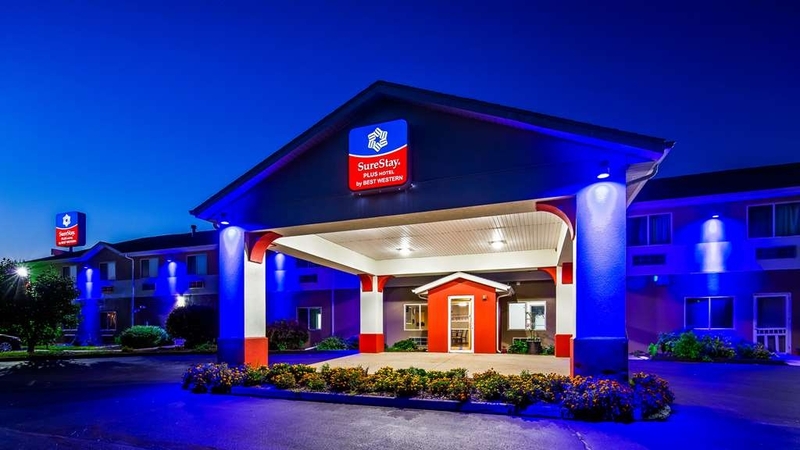 I have stayed here when I come to the Quad Cities for business. I look for the best values when I book my hotels. I believe for the cost of the room you get a very good value. The manager and I talk when I arrive and I enjoy our little chats. It is close to Hwy 74 and their are a number of good eating places in the area. "Worst service I have ever had"
Was extremely disappointed with this service from the start when I checked in. The owner said my gift card wasn't valid and I couldn't use it on this visit at his hotel. He stated that it has been a common issue and I eventually asked him to call to see if we can fix the situation at that moment instead of dealing with it later. He was going to make me wait to use it so I wouldn't use my gift card at his hotel then. I found out after our visit that my charge had an addition charge on top of being charged for the room. When I called and asked he said it was a refund and it is pending. I confirmed that I was not refunded, nor was it pending and that the money was taken out of my account. Once I finally reported it to the Best Western Company he said he would refund my account that day (on a Friday) and I should see it in my statement that day or the Monday after the weekend. I still have not been refunded for this charge nor has he responded to my e-mails. I'm in contact with the Better Business Bureau of Iowa because I just want my money back that is rightfully mine. We were suppose to have a good relaxing weekend celebrating a wedding anniversary but this trouble I have gone through completely ruined it. Jennie, On behalf of our entire team, I would like to apologize for not exceeding your expectations. Your satisfaction is important to us and we will be using the feedback you gave us to implement improvements to ensure we offer a better experience for guests in the future. I would like to address the issues you mentioned. We are sorry for the confusion in regards to your BW gift card, but want to clarify it was processed successfully. As far as the incorrect charges, this has been processed by our property and bank. They have released the funds to your bank and depending on their policies you should be getting the charges back this week. We have also sent you proper communication of this via email. We realize this is frustrating, but we cannot control how long it takes individual banks to process refunds. Once again, sorry for the inconvenience and please reach out if you have any questions. 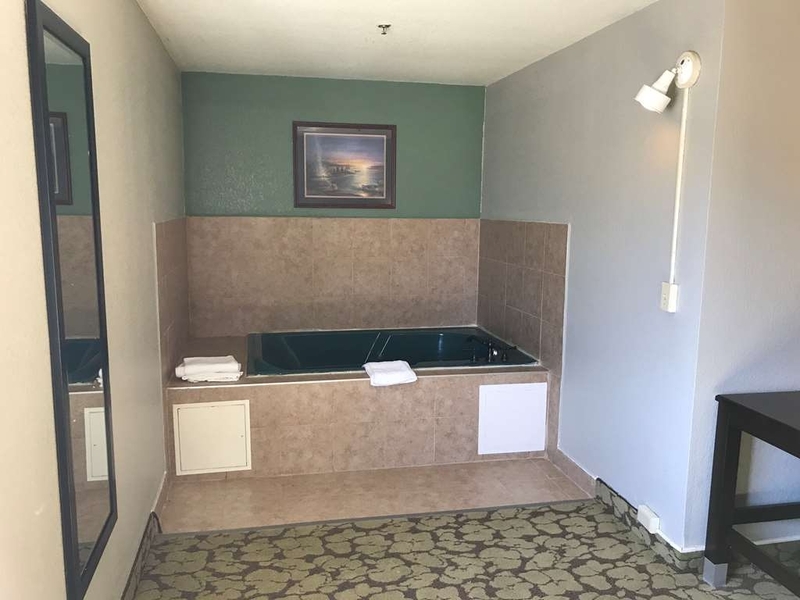 I thought that this would be a nice,clean hotel being a surestay Plus but it was filthy and loud.You could hear everything inside the room and the heater was making loud clicking noises all night.The hot tub was disgusting with white stuff all at the bottom.Staff said it was sand? ?Not sure why there would be bucket fulls of sand.It felt like staff was watching us the whole time in the pool area and at breakfast,which was also a filthy area.The fruit was not edible,there were crumbs of food all over the floors and counters and the hotel was practically empty so it was probably there for days.We found a lot of hairs in our room,trash in between couch cushions and under the bed and couch.I guess you get what you pay for. Spend the extra and stay somewhere else. Thank you for completing the survey regarding your recent stay at our property. On behalf of our entire team, I would like to apologize for not exceeding your expectations. Your satisfaction is important to us and we will be using the feedback you gave us to implement improvements to ensure we offer a better experience for guests in the future. 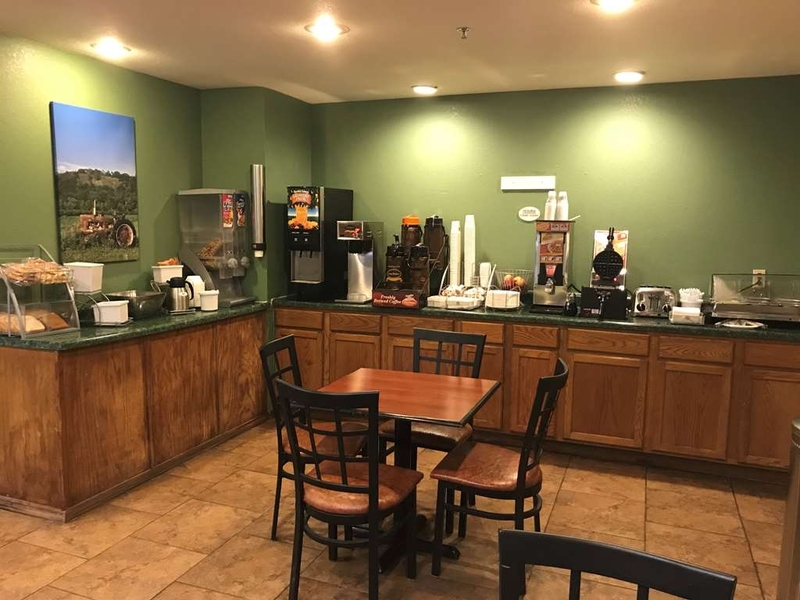 I would like to address the issues you mentioned First as the owner and operate I take great pride in making sure the entire hotel is kept clean and work very hard to maintain the high level expected by Best Western. 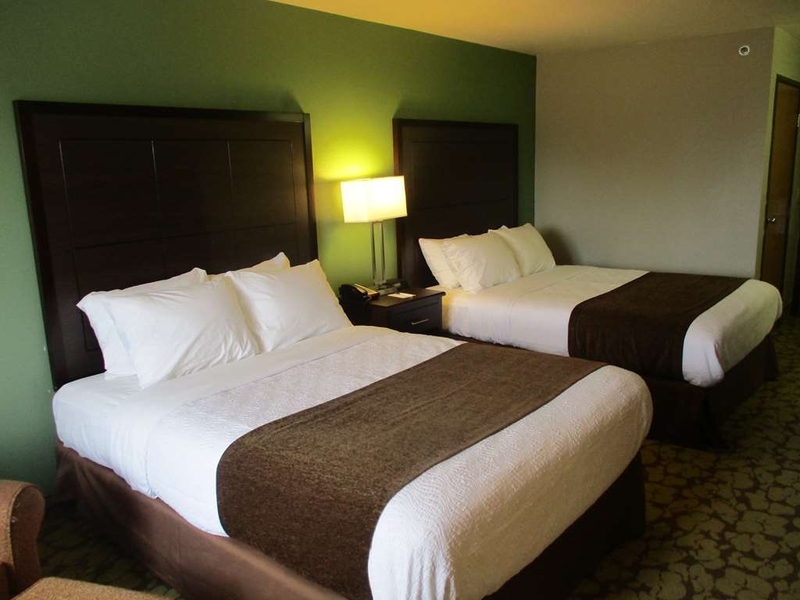 All the rooms are thoroughly cleaned are inspected by our head housekeeping staff before being rented. Every morning during breakfast we make sure to clean the whole breakfast area including wiping the tables and counter tops. However, sometimes things may be missed, but we apologize for any inconvenience this may have caused during your stay. In regards to the pool area, our cleaning system leaves behind residual sand that is cleaned out on a regular basis. After inspecting our system there was an issue with our filter leaving behind more than usual. We are currently addressing this issue. Additionally, we have a strict policy in regards to bringing outside beverages, food, or snacks into the pool. This is enforced for all customers for your safety purposes. We do not want to prevent closing to pool area due to water contamination or injury if glass were to break. I hope that you will consider staying with us again so that we can have another chance to provide you with a superior experience. 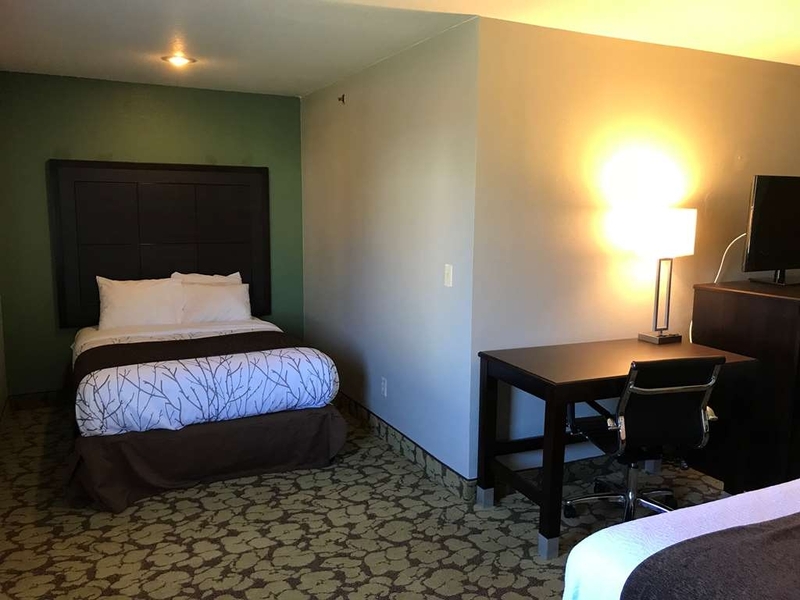 "Sure Stay Best Western Bettendorf"
An old Super 8 that has been remodeled and upgraded. Nice clean room with a good bed and very little noise. The breakfast was solid with the normal options plus eggs n bacon. Most important the staff was very nice and made you feel at home. A def. 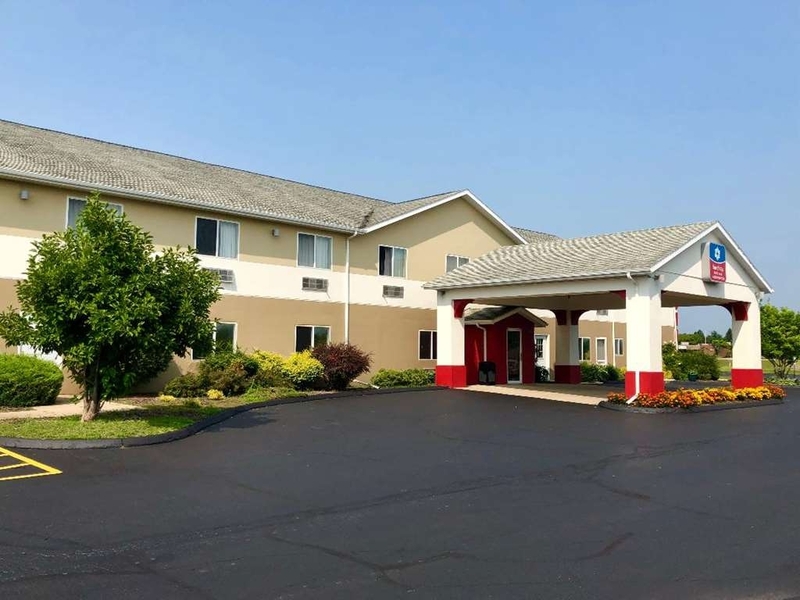 place to stay when in the Quad Cities. My wife and I stayed here Saturday night. We checked in around 6pm, then left for the evening, returning around 11pm for our overnighter. Check in and check out went well. Front desk staff were very friendly and very helpful. Our room was on the 2nd floor. Our room was clean and smelled good. It was spacious. The tv was very nice and had a nice assortment of channels. There was a microwave and mini refrigerator. The room was very cold when we arrived, but heated up quite nicely in the time that we were away that evening. Breakfast was pretty good. A couple of hot items, along with a waffle maker made it even nicer. The breakfast room is pretty small, but it seems like they are really trying to provide a nice breakfast. And the toaster was amazing. I am used to hotel toasters that do not work very well at all. The price for this room was very nice. I would absolutely stay here again. 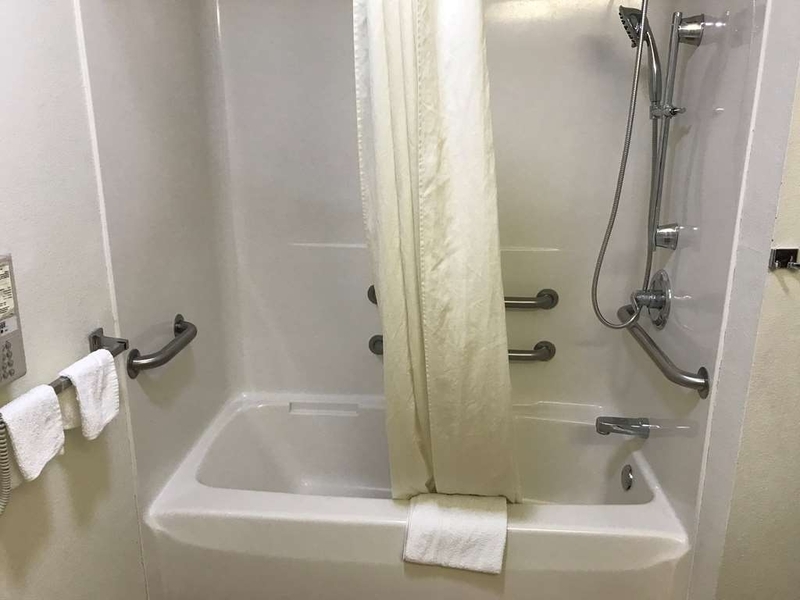 "Friendly staff and hot showers!" The best thing I can say about this hotel is that the staff was friendly and the showers were hot! 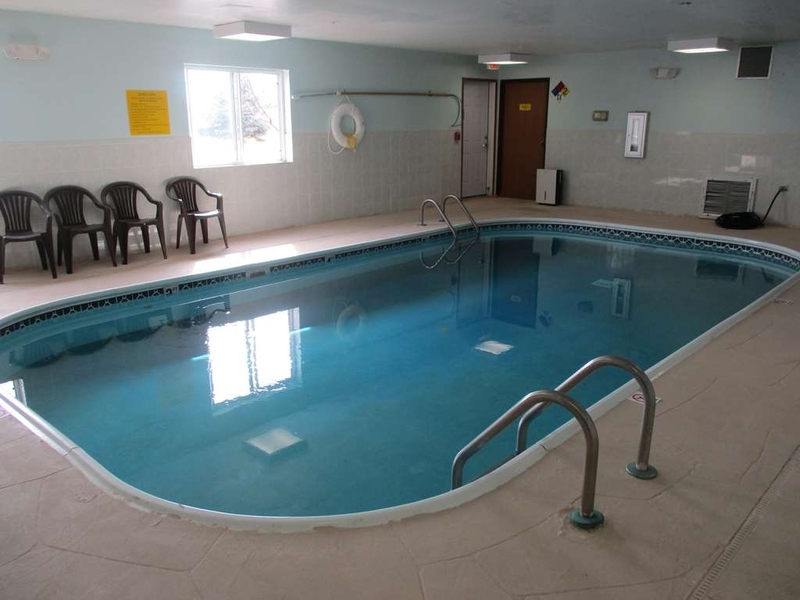 During our stay, my family and I went to the pool to enjoy some swimming time, but when we got into the room, we were choked out by the chlorine chemical fumes. We were only in the pool room for about 5 minutes before all three of my children, myself and husband started coughing and complaining of our nose and throat burning. Not only did the pool area smell like chlorine but the entire Hotel did as well. As far as the guest room, there were stains on the carpet and sheets. The hotel is outdated. Breakfast was good. Chlorine from the pool was present in the hallway and strong. Room wasn't clean. Very close to activities. Staff very friendly. We booked for 3 days and only stayed for 2, but paid for 3. 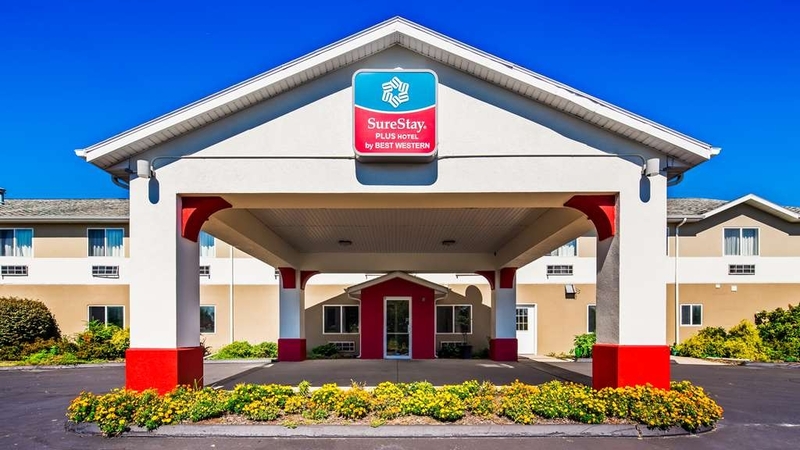 We travel a lot for business and have found the SureStay Plus in Bettendorf to be our "go to" when we pass through the Quad Cities. The owner, Mac, always greets us with a smile and makes us feel like we are welcome. This means a lot after a long day! Traveling for work if I'm within 30 miles I would make the drive to stay here. 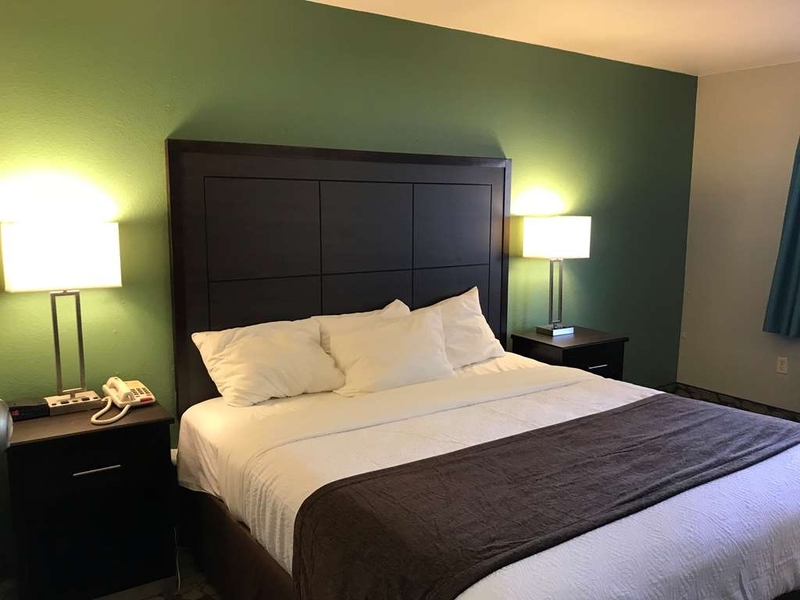 This is a Great place with Clean comfortable rooms and an Excellent staff. I've been staying and will continue to stay at this hotel every time I'm in the area. Absolutely best value for money. Had no problems, place is so quiet which is amazing considering it's right off the busy roads. Fast internet, good bed, decent water pressure in the shower. Couldn't hope for a better stay. Overall great experience! I have been to the Quad cities multiple times now and this has been the best hotel I have stayed at. The manager at the front desk was very friendly and helpful. 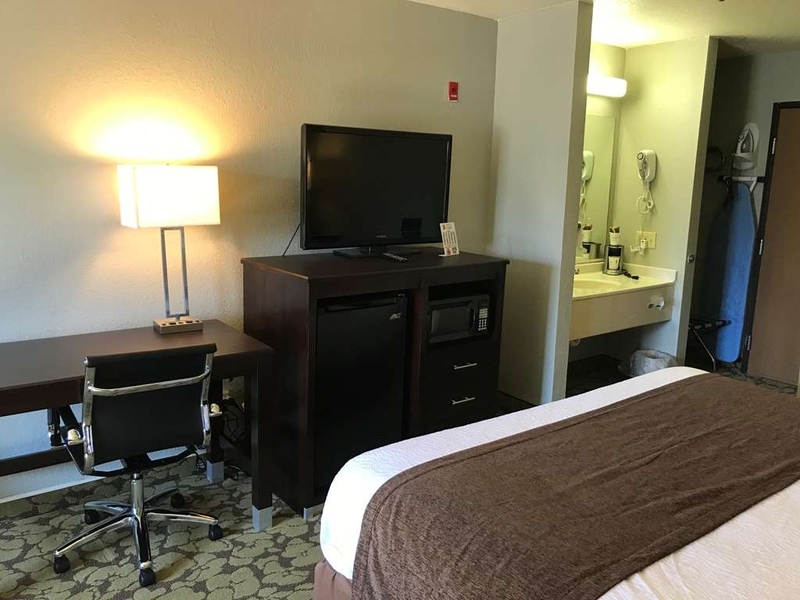 The room was very clean and looks to be maintained very well! Bed was very comfortable. Great internet that allowed me to do my work. With all the amenities (free continental breakfast, pool, internet, etc) this hotel was a great price! Passing through on a road trip. The room was nice . They charge you $150 security deposit that is suppose to be returned when you leave. I get home two weeks later and get my credit card bill. The charge is still on it. I call the hotel and talk to Mr. Patel. He says he will make sure it is taken off. It has been over a month now and still no credit. I will never stay at another place that charges a security deposit! Visiting the Quad Cities. I have stayed at a lot of hotels and this place was one of the best that I have stayed. It was an exceptional deal. 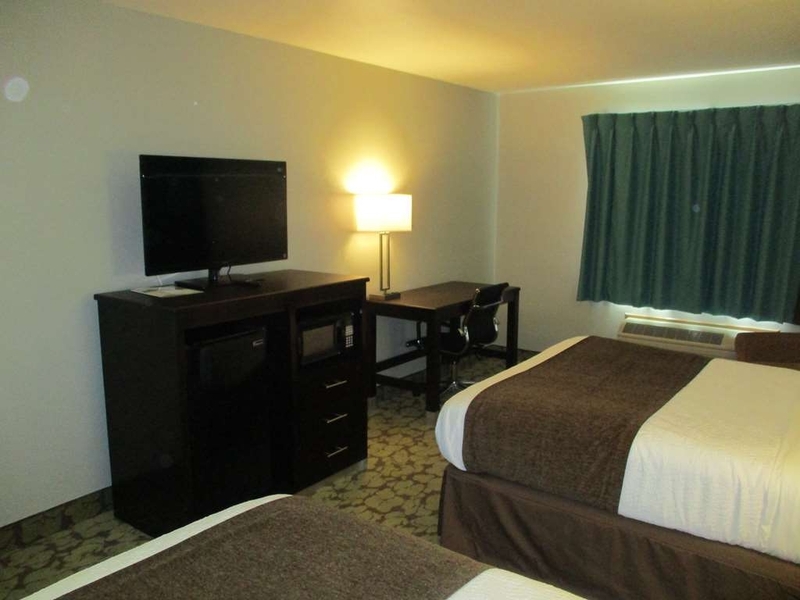 Great price that includes internet, free continental breakfast, a clean room and comfortable bed. There is a welcoming warmth from the manager Mac Patel, who is also knowledgeable of various restaurants and activities in the area. I would highly recommend this place to anyone visiting or just passing through. 5 stars! I rarely leave reviews but this was one of the best hotel stays we have ever experienced. The location is pretty great whether you're passing through or visiting Bettendorf or Davenport. Everything from the facilities, lobby and the room itself was sparkling clean and the beds were very comfortable. The staff were incredibly friendly as well and willing to help with anything. This has been by far the best deal for a hotel we have ever had. Would definitely recommend! Passing through on a road trip and needed a place to stay for the night. Got a great internet rate for this Best Western hotel. The manager Mac Patel was super. He has a great personality and recommended a good place for Chinese for dinner. The hotel room was very clean and bed was comfortable. Continental breakfast was fine for a free breakfast. Would definitely stay again if comming this way again. "Good night stay for business." I needed to travel to the Quad Cities for business Friday into Saturday. This "fit the bill" in many ways. 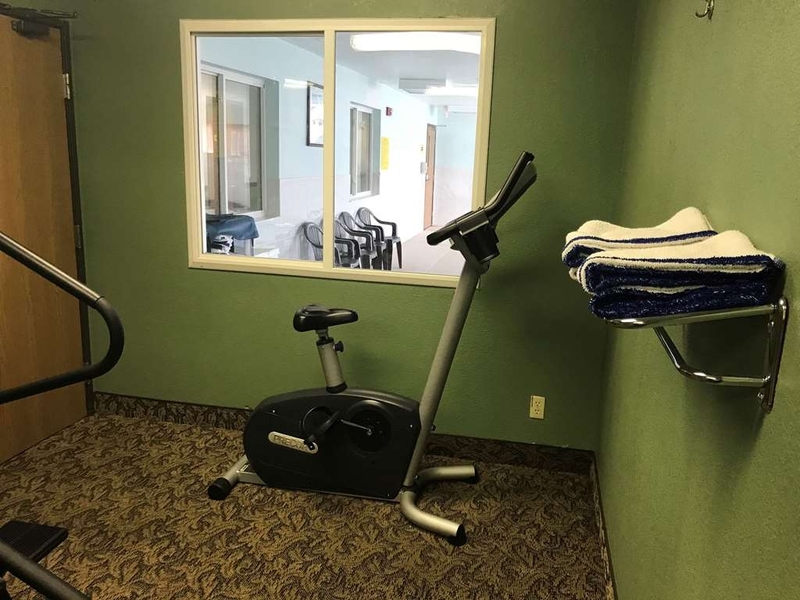 Good location, nice clean room, and a good price as well. Would recommend to others. Thanks for a well run place. We had a great stay for the short trip we had into Iowa. 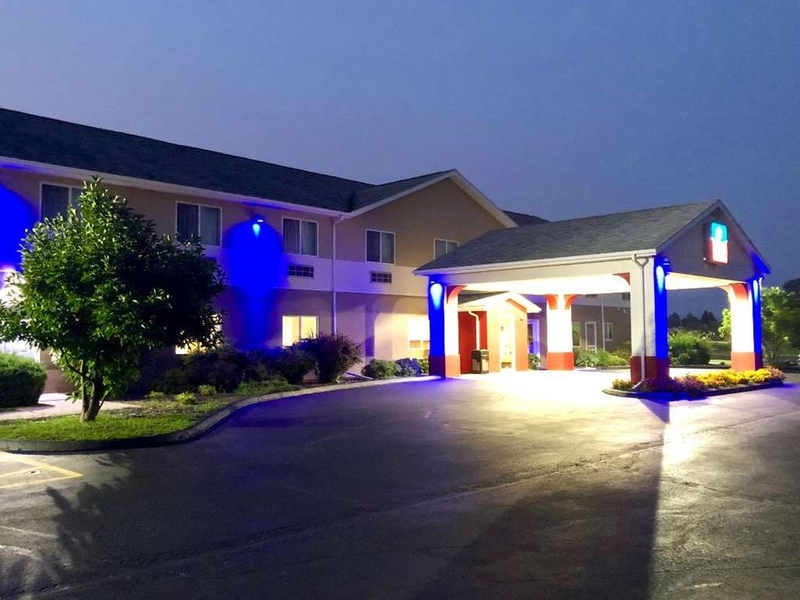 First time in Iowa and the location of this hotel was great and in a safe area. Our room was clean and we were able to check in early when we arrived. Would recommend! What a great experience! The staff was extremely friendly and helpful. We needed extra pillows and they brought us pillows to the room right away. We were impressed with the name brand shampoos. It was a great stay! Great stay! No hassle check in and extremely friendly staff. Walked into a clean large room was amazed with the value! Great location right off the highway with easy access to the interstate. Coffee in the morning was great. Would recommend staying here family or business! 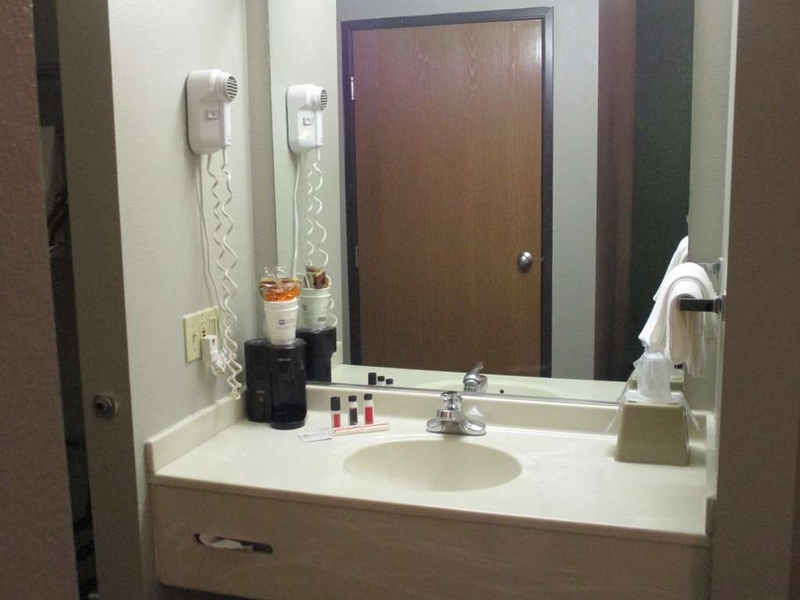 SureStay in Bettendorf was a clean, friendly hotel with high class amenities. Great location. I appreciated the name brand shampoo and conditioner bottles. Check in was quick and easy. Thanks for the stay! 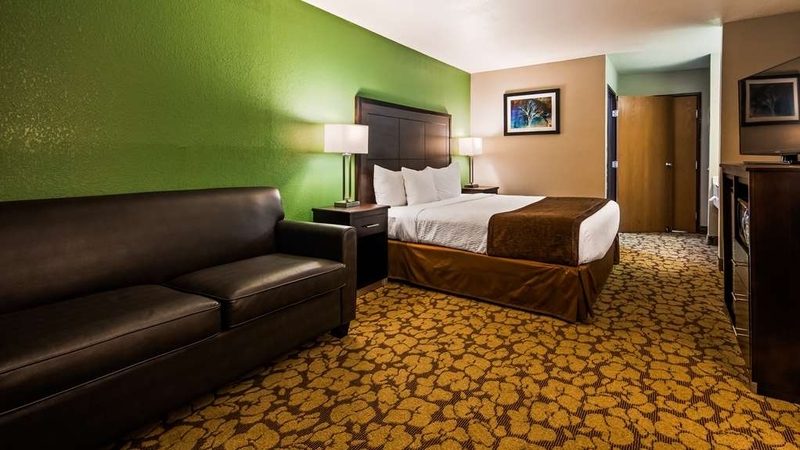 "Great hotel for business trips"
Great rooms and service at a great price. My new place to stay when I visit the quads. Way better value than the chains I typically stay at. Convenient location and helpful staff. Don't overlook this hidden gem. Didn't measure up to other BW properties or to good reviews I read in advance. Very poor WIFI; musty smell in bathroom; stained sheets and carpet; freezer iced over and fridge not 100% clean; minimal amenities; breakfast items very limited; mattress just OK. I have stayed at this hotel several times while in the area for business. 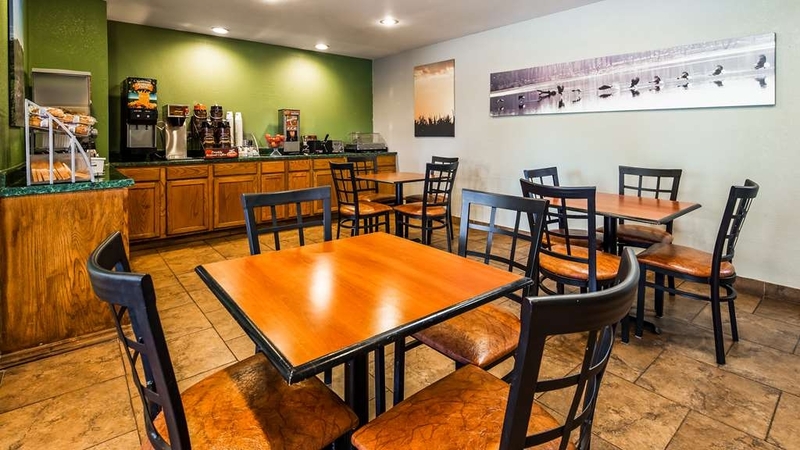 It is conveniently located by the expressway and near the commercial/restaurants areas. The hotel is clean and price efficient. There is wireless and continental breakfast with make your own waffle. The owner, Mac, is great. He knows me by name and is extremely friendly and helpful. Thank you so much for your review, .We're delighted that you found our hotel to provide both good quality and great value. It's wonderful to see you enjoyed your stay . We can't wait to welcome you back - we're glad you found us! This hotel not only is clean and quiet but also a great owner Mac Patel ! I left a Samsung tablet my room and left for home. He not only tried to stop us before leaving but also called us several times. He had it waiting sucurely behind the desk and presented it to me with a big smile. Not my last time in the area ( Mississippi Blues Festival was amazing) and will stay for sure at Sure Stay. I've had the pleasure at staying here a half dozen times over the last year due to an ongoing project - there are many hotels in the area, but this is a gem. Mac, the owner, is often working the front desk and is supremely friendly and helpful. 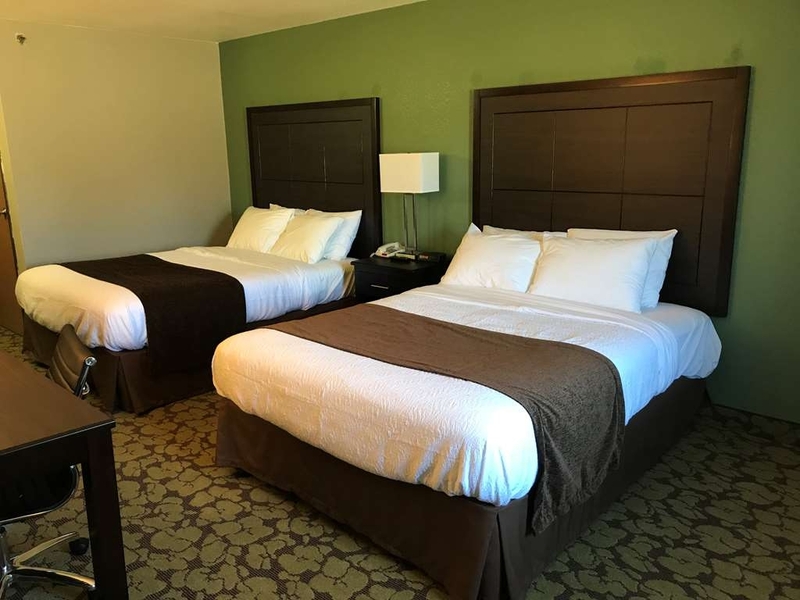 Check-in is a breeze and the rooms are clean and comfortable. For the quality provided, their rates are excellent. 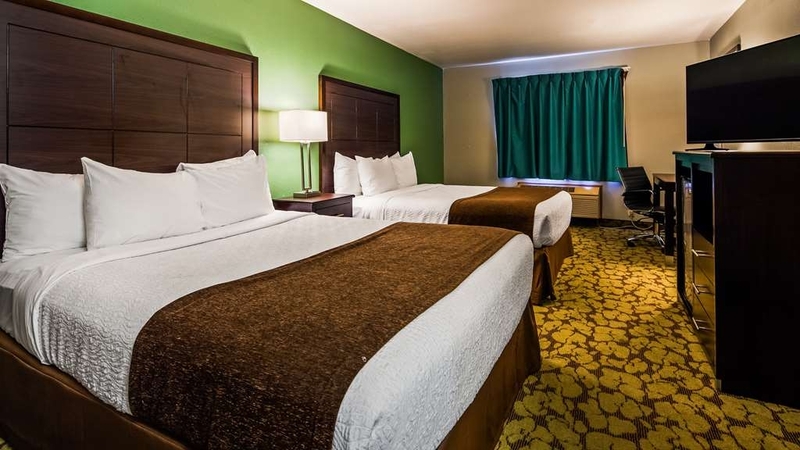 If you're in search for a good room with friendly service without breaking the bank, this is the place to stay. We met Mr Patel the hotel manager and he was AWESOME!! His customer service is top notch!! His friendly demeanor was spot on!! I am glad we found this particular hotel and Mr Patel what a GREAT GUY!!! ""This is a precious gem in the rough""
There are fancier hotels, but why pay for the frills you don't use? This hotel has lots to offer. 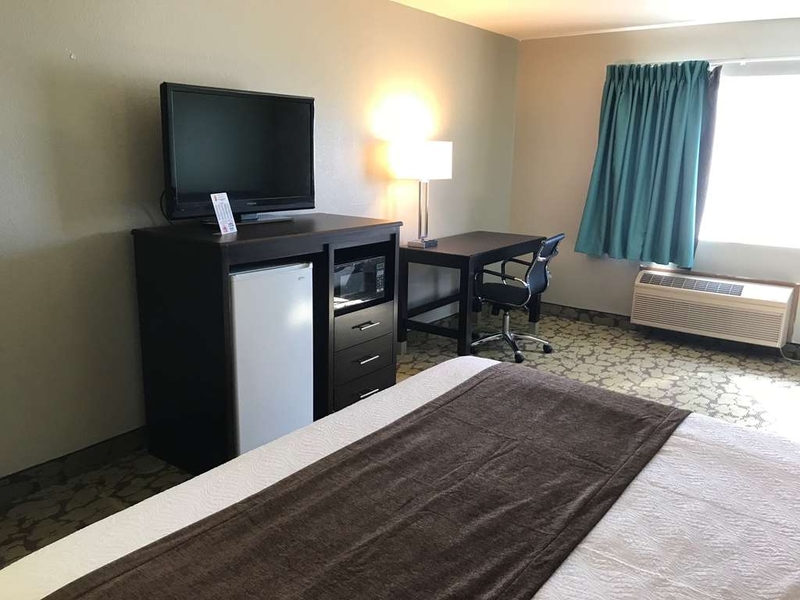 Clean rooms, comfortable beds, all rooms were just renovated March 2018 with new beds, furniture, tv's. etc. 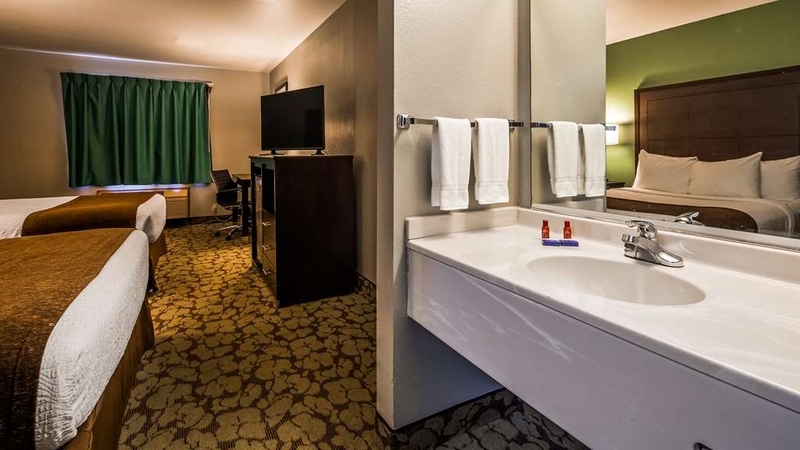 This hotel is close to several casinos, major shopping malls, and most anywhere. The awesome free breakfast is plentiful with many options to choose from. I enjoyed the cleanliness of my room, good working a/c. It is nice to be greeted by a familiar face each time I visit by the owner, Mac is fun and energetic! 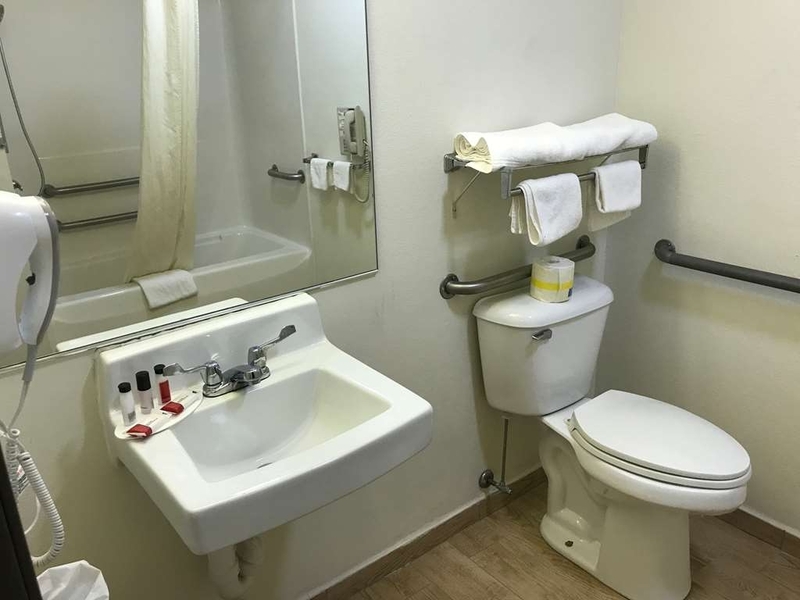 This little gem of a hotel has all the charm and necessities for any traveler who appreciates a good value for the rooms. 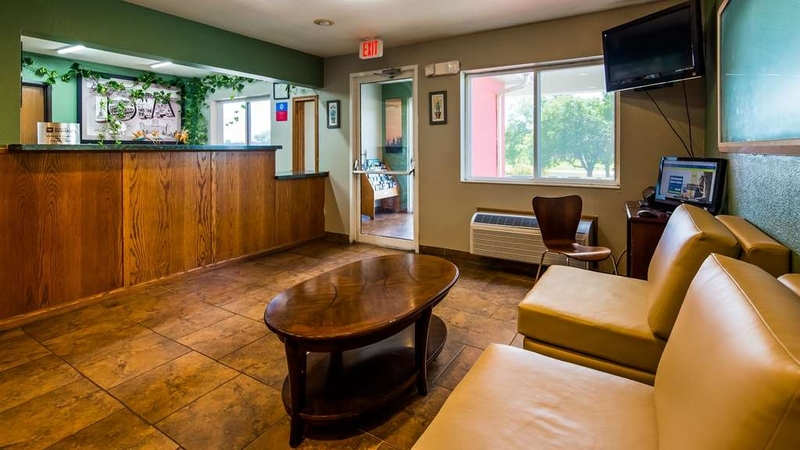 I would recommend SureStay Plus in Bettendorf for all the great amenities without the stuffiness of larger hotels. I have been a guest here several times, it has always been good! 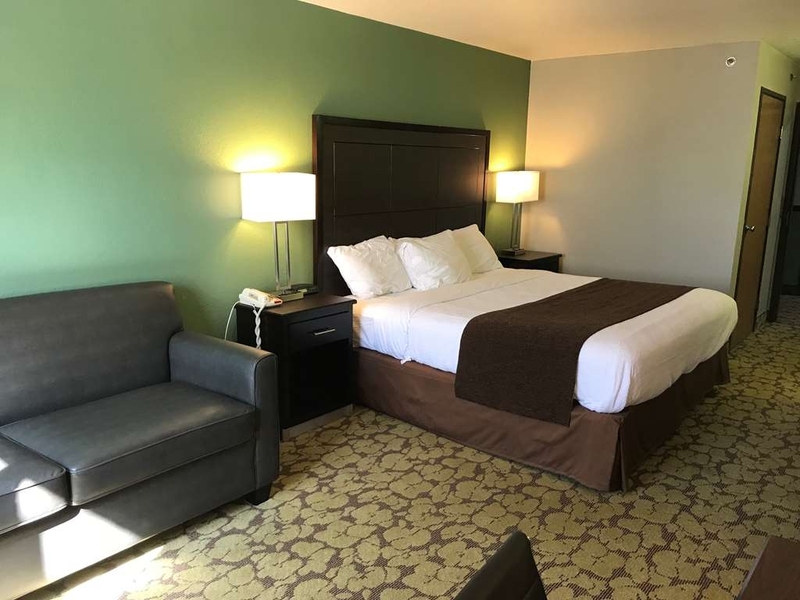 "Quality, clean stay at an excellent hotel"
I traveled here with family and were greeted by very friendly staff with a smooth check in. 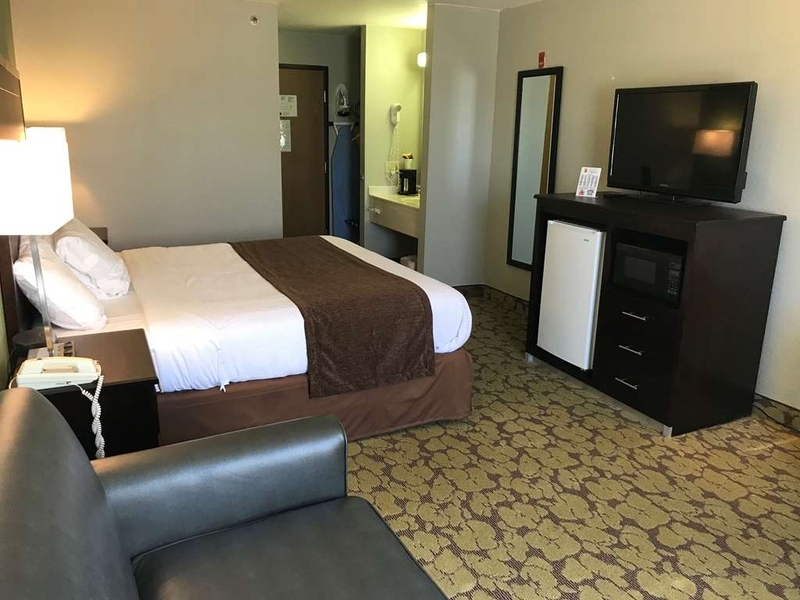 Rooms were super clean, spacious, and appeared to be recently rennovated. Weather was hot so we enjoyed the pool to cool off. The FREE HOT breakfast was delcious - surplus of options to choose from! We will definitely be coming back soon! Just fine for an overnight stay. Nothing fancy, that's for sure. Wifi worked well and they serve breakfast. The staff were nice and helpful, and we would probably stay there again if we ever needed to. "This place is a 2.5 star place...never a 5 star!!'" Very good service and the owner was extremely helpful, thanks Mr. Patel!!! Hot tub worked well an my daughter enjoyed the pool. Nice furniture in the room and it was clean upon arrival! Early check in time of 1pm was clutch also.. Very hospitable and friendly. I enjoyed my time there and will be back shortly. Mac is always welcoming and has a very clean hotel. The staff are accommodating and breakfast is always hot. The pool and hot tub are clean and relaxing. "Great Rooms! and Great Service. Can't Ask for better stay at this price." Furniture is brand new in all the rooms. And front desk service is great. Rooms were very clean. Owner Mac Patel is very friendly and recommended few local places to check out. I'll be returning to this hotel again on my next TRIP!! The rooms are very clean always nice and the breakfast is outstanding. The people made me feel at home and overall it contributed to an enjoyable stay. Thank you for an incredible time and for making me feel like family. hank you so much for your review, .We're delighted that you found our hotel to provide both good quality and great value. It's wonderful to see you enjoyed your stay . We can't wait to welcome you back - we're glad you found us! "Easy stay when on a busy trip!" I was in town for a business meeting and Sure Stay was the perfect place during my trip. It was an easy check in when I was running late. The hotel offered great, FREE wifi that actually worked and allowed me to finish my tasks easily and timely. The room was beautiful and clean, with plenty of space to work and the bed was comfy and warm. Breakfast was also easy and quick and they had freshly made waffles! 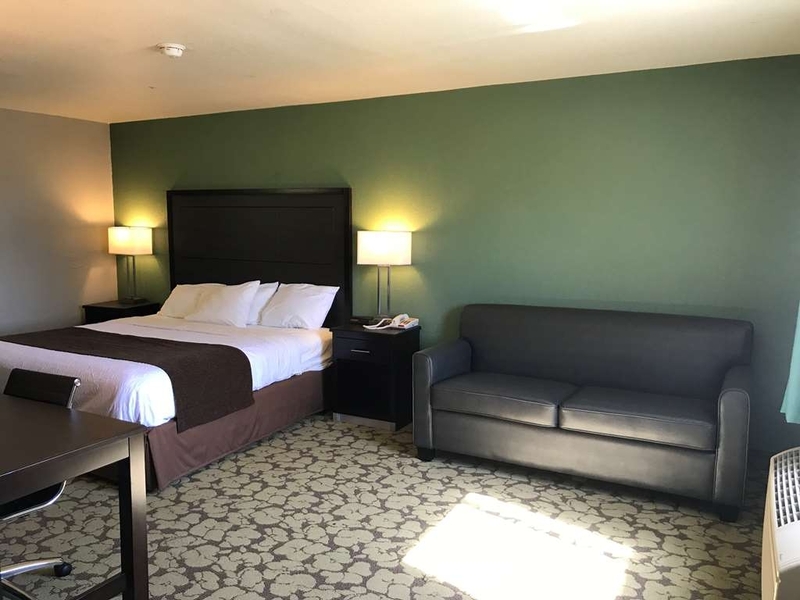 I would recommend this hotel to anyone visiting the QC, especially for a business trip! "One of the best Hotels I have stayed at." Our room was very clean and had a homely feeling and atmosphere. Furniture is new and very comfortable, beds are great and felt like we were sleeping on our bed at home. Heat and air conditioning works perfect. Hot breakfast with plenty of varieties of breakfast items and fresh fruits. Internet-WIFI works great. 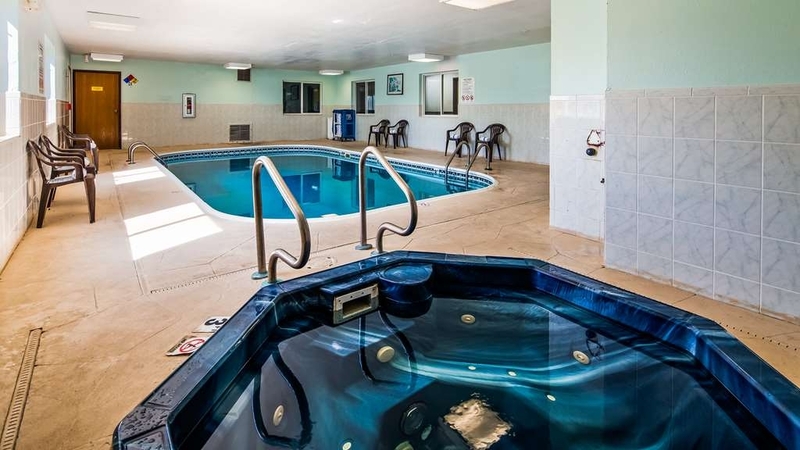 Indoor swimming pool and hot tub is great. Mac the manager is a great individual very active and friendly, made sure we had everything we needed. Hotel employees are friendly courteous and helpful. 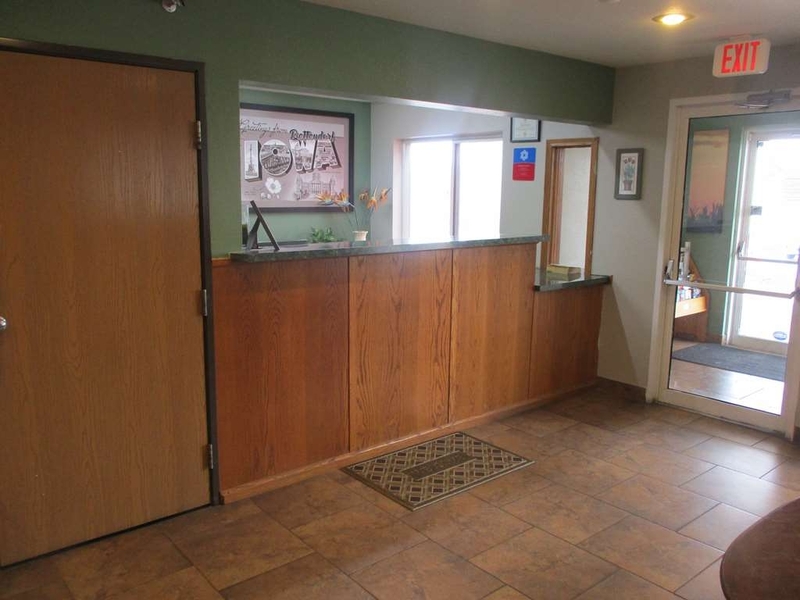 Lobby and breakfast areas are very clean, organized and appealing. Will always stay here when visiting Quad Cities. 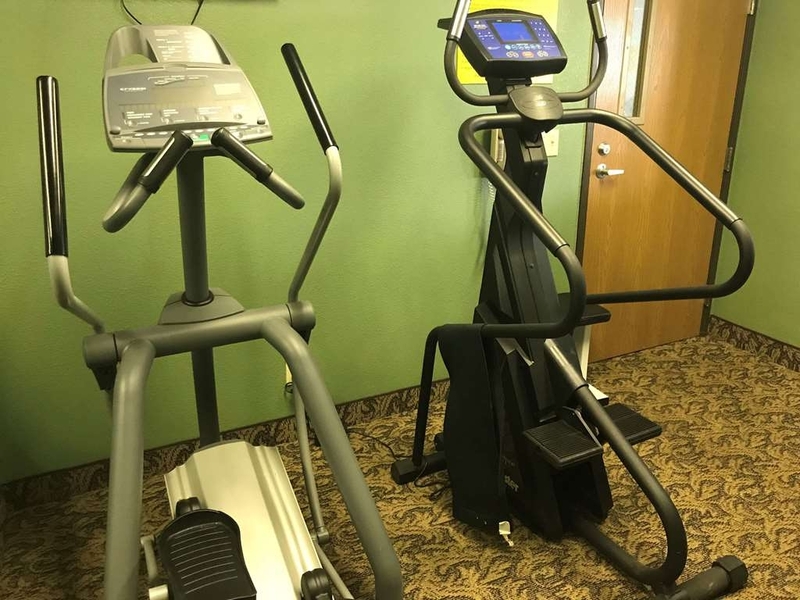 Very close to lots of good restaurants, casino, gym and other places of interest. Highly recommend this hotel for families and business people. "In town(my hometown) from Colorado for a wedding!" Mac the owner is awesome! He is a very friendly guy and is always making sure everything is good! I stay here 3 nights left for 1 and came back to stay another night! When you walk into the lobby it is nice an appealing! 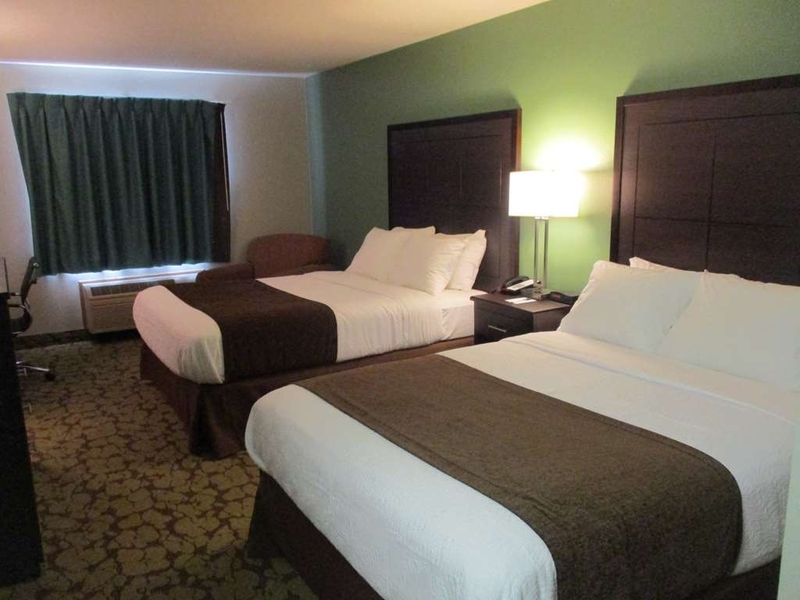 The rooms are very nice and clean! I will always come back here when on the area!